Good communications skills are more important for Chief Executives now than ever before. This is a key, if not overly surprising, conclusion from a large-scale study for the Public Relations Consultants Association (PRCA), which suggests that attitudes to CEO visibility are gradually changing. Many people want to see more high-profile UK business leaders such as Sir Martin Sorrell and Sir Richard Branson, and a fair number believe it is British reserve that is holding them back. Millennials in particular have more appetite for exposure to CEOs, so they can see if they share their values and feel trust in the brand. The ‘CEO Uncovered’ study polled more than 2,000 UK consumers and 200 business decision-makers, and suggests more than 60% of consumers believe it is more important than five years ago for CEOs to appear visible and engaged within the public eye. This does not mean an all-out media blitz; it may be more about spending time with customers and improving internal communications. 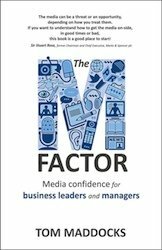 So what is the best advice for bosses who recognise they need to get out of the bunker a bit more, but don’t feel themselves to be born communicators? 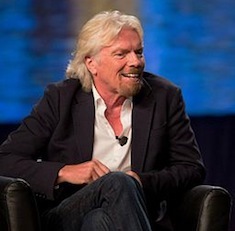 A high media profile may be more appropriate for consumer brands than for some business-to-business organisations, and even Sir Richard Branson rations his appearances. So, pick the issues that will position you as a quality player; a leader rather than a follower, with a clear vision for the future of your industry, and your company’s place in it. Refresh the media training and keep your media skills well-honed in the good times – you will be glad you did if the bad times hit. Don’t only focus on crisis issues as this automatically puts you in a defensive frame of mind. Good media skills will also help with your internal communications; with both audiences you need to be authentic, and to be able to convey passion, enthusiasm and sincerity in equal measure. I have heard the argument put forward that all modern CEOs should use social media, but I think caution should be applied here. Unless tweeting really comes naturally to you, you can set the wrong tone and invite derision. Also, the markets may punish you if you appear to be spending so much time tweeting, they begin to wonder who’s left to run the business.